The IYSSE at Eastern Michigan University (EMU) in Ypsilanti, Michigan has been an established club since Fall 2016. 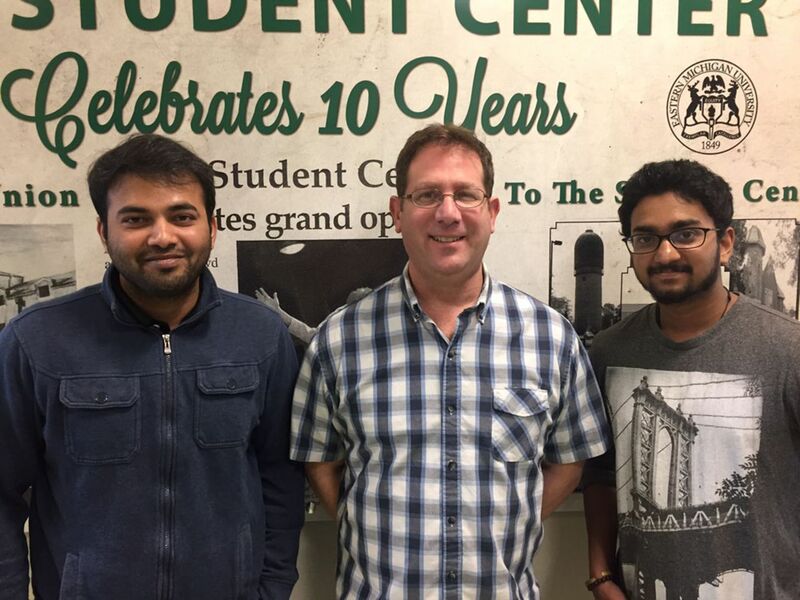 The IYSSE club campaigned actively during the 2016 national elections, building a basis of support among hundreds of students, many of whom attended meetings on campus with Socialist Equality Party US presidential candidates Jerry White and Niles Niemuth. The campaign at EMU is part of the IYSSE’s global fight to unite the working class of all nations against capitalism and war. Mitch and the IYSSE at EMU are continuing to build a genuine socialist movement of youth and students at the campus. Check out our Facebook page to follow what we are doing and to get involved. IYSSE president Mitch (center) campaigns in defense of Immigrant rights.